UPDATE – This show will be performed again at the Long Island Doctor Who Convention on Saturday, November 9th, at 9:30PM EST. PMRP on the guest list. Suffering Shoggoths! The Roaring Twenties have just begun! Flappers! Gin joints! Deep Ones? The Doctor joins forces with H.P. Lovecraft to investigate attacks in Boston by monstrous entities, and the eccentric Professor Whiteman who appears to be behind it all! What is the secret of the Professor’s amazing chair that can seemingly cure the insane? What is “Miskatonic University”? What will happen to the world when C’thulhu rises? 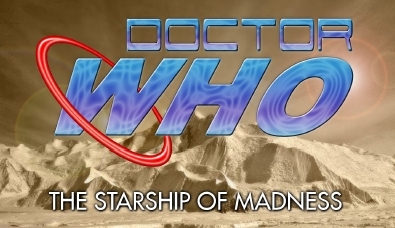 Friday night, I attended Dr. Who: The Starship of Madness, a live radio play by the Post-Meridian Radio Players about H.P. Lovecraft meeting Dr. Who. The rest of the characters were original — as far as I know — and the whole thing was hilarious. I’m a pretty casual Dr. Who fan, but I still got all of the jokes, and the Lovecraft interludes were a nice touch. …for those in the Boston area, The Post-Meridian radio players are putting on two performances of their radio play The Starship of Madness, March 25th and 26th. I saw this group at Arisia and they were incredible, very talented. I highly recommend you go. How can you beat seeing a live Doctor Who radio story!? We had two additional performances of this show on Friday March 25th at 8:00pm and Saturday March 26th at 3:00pm.